Your mother was once a fabulous cook who was the envy of all potluck dinners. Now, it is not safe for her to use the stove when she is alone; she has not made a complete meal in years. A friend has offered to come and “babysit” your mother, but you want more for her than a sitter. What you really need is someone who will help your mother tap into her strengths, her talents, her identity as a fabulous cook. 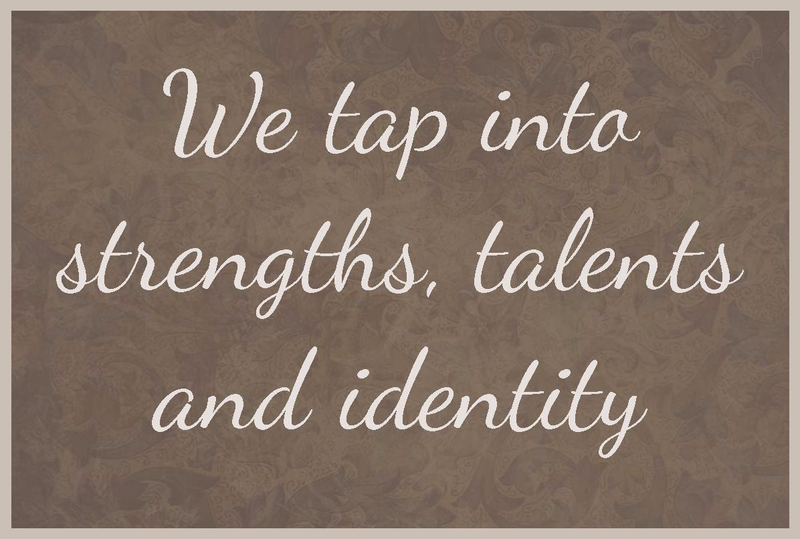 Our philosophy of care is all about empowerment. We do not believe in “sitting” for adults. We believe in engaging with clients, interacting with and inspiring clients. 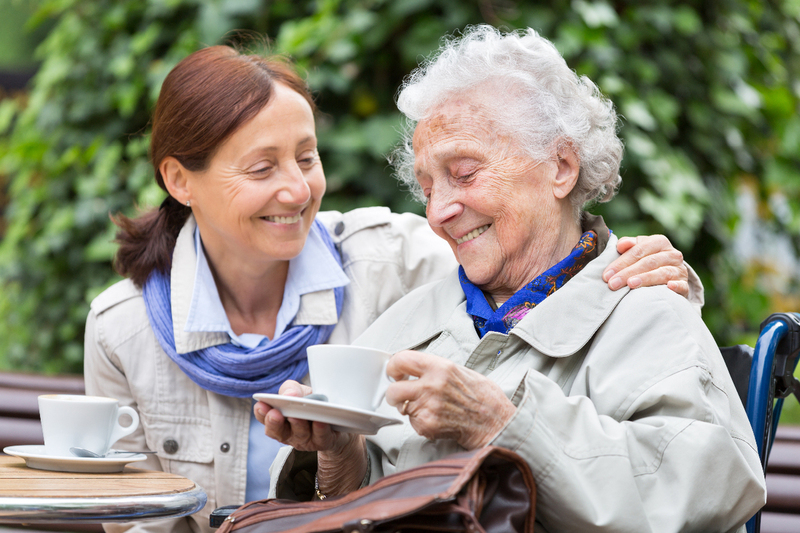 Our role is encourage the person with dementia to maintain her abilities and remain as independent as possible. Your mother still enjoys cooking, she just needs assistance to do so. We do not rush in and take over for someone; we do not do for someone else what she can do for herself. Your mother may not be able to manage the stove—that can be our part of the task. But she can still chop vegetables and add spices to her favourite soup. Our job is to provide cueing, when necessary, to help someone with sequencing of events. We may provide reminders, help someone to initiate a task in the first place, guide them to remain on task, and assist when necessary. Throughout each stage, it is crucial that the person with dementia is at the center of the activity—she is the one doing most of the action. Although it is usually faster to just do the job ourselves, speed is not our goal. When someone with dementia feels rushed through a task, they are often more confused and less capable than when they are given time and space to process. Someone with dementia needs a supportive caregiver to cue them; not a rushing person who is simply focused on a task. Providing meaningful engagement is crucial for someone with dementia. Your mother has a sense that she is supposed to be doing something. She may not be sure what that is, exactly, but she has a sense that she ought to be doing something. Being given busy work or meaningless tasks will be frustrating and possibly insulting to her. She wants to do something that matters…something productive. She wants to contribute to the household. Your mother will be proud to serve a meal that she cooked. She will delight in providing for her family in the same way that she had been accustomed to for many years. The brain is muscle and just like other muscles, if you don’t use it, you lose it. Encouraging your mother to be involved in activities of which she is capable, ensures that she retains those abilities. If we take over and just do things for your mother, she will lose her capability unnecessarily. Involving your mother keeps her brain active and keeps her suitably challenged. 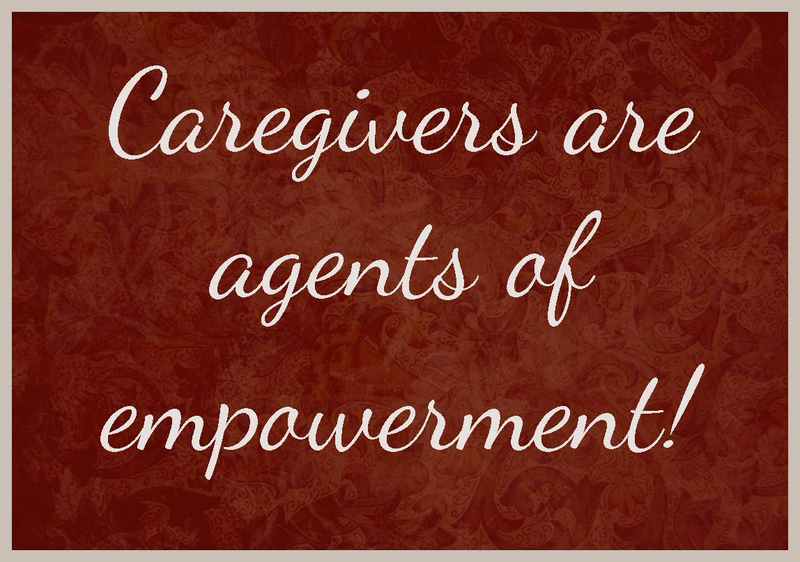 Our caregivers are trained to be agents of empowerment! how to empower clients with dementia.